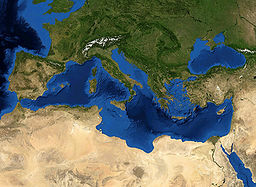 The Mediterranean region is often held up as a textbook example of a cultural crossroads: a meeting of Europe, North Africa, and the Middle East; the intersection of Christianity, Islam, and Judaism; the marked, if somewhat porous, borders of north and south, east and west. Is this really the fairest interpretation, though? 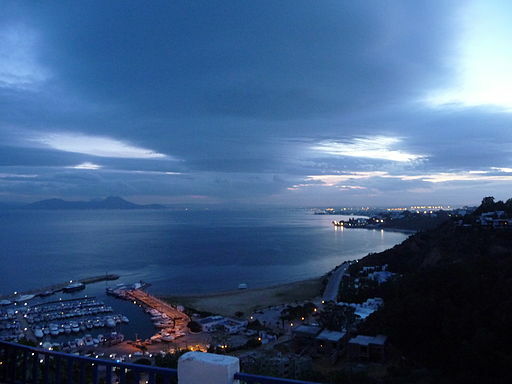 The Mediterranean’s role as crossroads for people, goods, and ideas is certainly beyond question, and rightly so. However, the acknowledged borders within the region - political, social, or otherwise - may warrant some revision. This was the topic of the talk given by Professor miriam cooke at the University of Illinois on March 4, 2013. Her fascinating discussion of Mediterranean cultural perspectives and identities highlighted some of the issues that arise from the strictness of conventional cultural “bordering”. It could be argued that most borders are merely artificial constructs, whether they are hard, that is, legally defined national borders, or soft, like the attributed north-south divide of the Mediterranean. However, while the former do have a definite purpose and necessity, its possible that the importance of the latter has been overplayed. While I am not trying to downplay the historical and social significance of the conceptions of the “other” in the formation of cultural identity, it should probably be recognized that the such constructions tend to be over-generalizing and somewhat arbitrary, and that, as Professor cooke pointed out, they should not be shielded by tradition when they obscure valuable cultural interactions and histories. A good way to clarify this would be to examine the oft-debated question of what it means to be “European”. In an article on the subject of European “bordering”, Klaus Eder provides an excellent summation of the tradition conception of European identity, describing it as “cultural, political, and ethnic heterogeneity united by a common religion.” While this notion was eventually proved untenable due to growing religious conflicts within the continent, and a unified European narrative largely fell out of favor with the rise of the nation state and stronger national identities, the general concept lingered, only to be revived after the Second World War.1 This reveals that even long-standing, “traditional” notions of identity and borders can be rather arbitrary, and can be modified to suit changing socio-political situations. This should by no means be viewed as a condemnation of such practices, as they seem to be natural part of how societies come to conceive of themselves, and it is good that these identities and constructions of the “other” are not firmly set in stone. Rather, it should be used as part of the recognition that cultural borders, while not entirely without value, are not as firmly established as hard borders, and so should not be held up as strict delineations between peoples. As the Mediterranean region has made abundantly clear, when different cultures and ideas exist in close proximity, the established walls between them tend to crumble. 1Klaus Eder, “Europe’s Borders: The Narrative Construction of the Boundaries of Europe,” European Journal of Social Theory 9, no. 2 (May 1, 2006): 260–2. "Social Media and Global Change" is a new course that was offered in Spring 2013 as a joint venture involving the Illinois Informatics Institute (I3), the Graduate School of Library and Information Science (GSLIS), and five Title VI Centers, including the European Union Center. This article about the course was originally posted on the Russian, East European, and Eurasian Center's blog. The “Social Media and Global Change” course was developed and taught by Dr. Bertram “Chip” Bruce, Professor Emeritus of Library and Information Science. An expert on community informatics and technology-enhanced learning, Professor Bruce shared his ideas on the course topic with other colleagues at the Midwest Scholars Conference on March 14, 2013 (Part 1, part 2, part 3, part 4, part 5). The course itself was offered through the GSLIS online LEEP format, which involves synchronous and asynchronous online instruction as well as a day of in-person classroom instruction on campus. Professor Bruce observed that “a lot of the research on social media, even when conducted overseas, tends to focus on the situation in the US.” One of the goals of the course, then, was to bring together experts from the Illinois campus and overseas who are researching the use and impact of social media in other places, to widen the horizon of the discussion of social media. Guest speakers in the course from among local University of Illinois faculty included Ann Abbot (Spanish, Italian, Portuguese) on “Social Media Marketing for Social Enterprises” in the Spanish-speaking world; Markus S. Schulz (Sociology) on “Transnational Mobilization and the Internet” and the Zapatista Movement in particular; and Jon Gant (Library and Information Science) on Geographic Information Systems and e-government. Students also interacted with faculty from overseas, including Yan Li (Zhejiang University) on the topic of the digital divide in China; and Olena Zhylinkova (Kharkiv National University, Ukraine) on social media legal regulation in different countries. Class discussion moved very quickly from simple questions of whether or not social media facilitate social change to more complex questions of the many factors that inhibit or facilitate effectiveness, with critical issues including censorship, identity, privacy, and access, according to Professor Bruce. 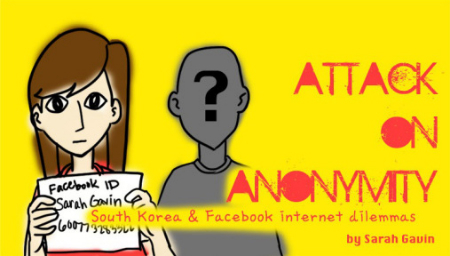 In the course, students relied on their diverse fields of specialty (geography, informatics, cultural and area studies and library sciences) and produced excellent final projects, including webtoons and maps. Thus, they learned through and about social media and became trained in how to more effectively use this medium. The documentary Czech Dream was a very thought-provoking documentary. The documentary covered the negative effects of consumerism and showed them through a rather unique approach. The documentary, directed by two film students from the Czech Republic showed the change within the Czech Republic that has occurred since the late eighties. The directors planned and followed through with a “fake” supermarket opening. This process included widespread advertising campaigns and promotions, as well as TV and radio adds. The advertisement slogans were designed with the intention to deter consumers from buying, fighting and even from coming. On the advertised grand opening day, about 2000 people attended in anticipation of the new opening. While anxiously standing behind the barriers that were used to keep the crowd in place they patiently awaited the ribbon cutting. Shortly after the crowd was released and began moving on an unpaved road, only to have found out that the supermarket merely consisted of a facade. The reactions upon this discovery were mixed. However, after the confusion over the brank had set in, many people felt angered and betrayed. Others thought it was funny, and understood the message that the two directors were trying to send. I enjoyed this documentary very much. It was a very clever and unique idea. For their audience, I believe the directors explicitly achieved to show the often-negative effects of consumerism and its effects on modern society. While advertisement campaigns and media are very powerful in informing and influencing people, no one seemed to take the actual messages portrayed by the slogans seriously. I think it goes beyond most consumers’ imagination that a supermarket would actually seriously advertise for consumers not to attend. Lastly, the documentary showed how successful, interesting and catchy advertisement through campaigns and media outlets can attract crowds of people to a “ fake” supermarket. Within the Czech Republic the documentary is said to have provoked reactions and controversy not only in the in the Czech people but also the Czech parliament. Sandra is a graduate student in Social Work, working towards her MSW. She has completed all of her required course work as of this semester and will be starting an internship at the Center for Women in Transition in Urbana this August. 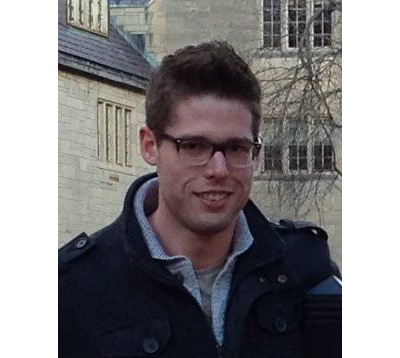 The European Union Studies Association (EUSA) has selected Matthew Spears, Ph.D. candidate in Political Science at the University of Illinois at Urbana-Champaign, as one of two recipients of this year’s Ernst Haas Fellowship. The EUSA, the premier scholarly and professional association focusing on the European Union, awards the Haas Fellowship to graduate students pursuing EU-related dissertation topics. Matthew’s dissertation examines how citizens’ perceptions of commonalities with beneficiaries condition their support for domestic and international redistributive policies. The Haas Fellowship will allow Matthew to conduct experiments in Germany to study the relationship between citizens’ perceptions of people from other EU Member States and their support for Eurozone economic bailouts. In addition to funding from the EUSA, Matthew’s research has received support from the European Union Center of Excellence at the University of Illinois, the Graduate College, the Department of Political Science, and the Survey Research Laboratory at the University of Illinois. Matthew is also a Foreign Language Area Studies (FLAS) Fellow at the EU Center. 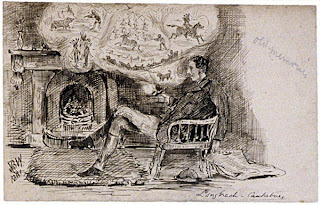 The method used to invoke the past can influence individual perceptions in a variety of ways. Whether through a statue seen daily in a town square, a visit to a local history museum, or art produced during the period in question, there are many different lenses through which history can be viewed and messages with which these objects or places are associated. On February 21, 2013, University of Illinois faculty and students had the privilege of attending a lecture given by Dr. Theodore P. Gerber, titled Divided Historical Memory Among Youth In Estonia: Sources of Ideational Cleavage. Dr. Gerber discussed historical memory, or “collectively shared and reproduced perceptions and narratives about the recent past” in Estonia.1 Interested in the collective construction of images of the past, Dr. Gerber was concerned with how young people understand and describe the historical Russian presence in Estonia; in particular, the divided perceptions of the soviet past. After listening to Dr. Gerber’s lecture, I was curious about the role of propaganda in cultivating historical memory. With Dr. Gerber’s lecture and an article I recently read about a Mostra della Rivoluzione Fascista on my mind, I was intrigued by another European country’s understanding of its conflicted past. 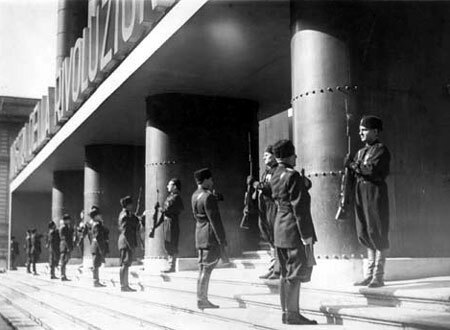 Guards change outside of the Exhibit. The words “Mostra della Rivoluzione Fascista” announcing the location of the exhibition are displayed largely to mark the site. The relationship between the exhibit and historical memory stems from the objectives of its organizers and the outcomes of the mostra. A struggle of fascist discourse was to keep it alive and make its history into a shared national story. By eliciting themes related to the “sacred”, the exhibit assisted in reinforcing the interconnectedness among individuals. According to scholars, the exhibit can be credited with reinforcing the connection between fascism and the Italian people.5 However, the exhibit did not ensure that this “bond” would be around for long. The memory still needed to be supervised and mandated by the regime. In other words, sources must continue to evoke symbols or discourse to keep the memory alive. The role of the mostra in influencing modern day discourse about fascism is not as defined, rather, raises the question of how modern day propaganda in general will be viewed in the near future in comparison to fifty years from now. The Mostra della Rivoluzione Fascista was an interesting example of the way in which a period in history can become inscribed in historical memory but how the lens for viewing history can quickly change depending on time, space, and context. 1Gerber, T. (2013, February). Divided Historical Memory Among Youth In Estonia: Sources of Ideational Cleavage. Lecture conducted at University of Illinois at Urbana-Champaign, Champaign, Illinois. 2Zamponi, S. (1998). Of Storytellers and Master Narratives: Modernity, Memory, and History in Fascist Italy. Social Science History. 22 (4), 415-444. 3Zamponi, S. (1998). Of Storytellers and Master Narratives: Modernity, Memory, and History in Fascist Italy. Social Science History. 22 (4), 415-444. 4Zamponi, S. (1998). Of Storytellers and Master Narratives: Modernity, Memory, and History in Fascist Italy. Social Science History. 22 (4), 415-444. 5Zamponi, S. (1998). Of Storytellers and Master Narratives: Modernity, Memory, and History in Fascist Italy. Social Science History. 22 (4), 415-444. Mat Jasieniecki, who graduated last week with a BA from the University of Illinois, was interviewed by Christine Des Garennes of the News-Gazette about his extensive work with student veterans. Mat Jasieniecki was a summer 2012 EU Center Undergraduate FLAS Fellow. This article was cross-posted on the Russian, East European, and Eurasian Center's (REEEC) blog. CHAMPAIGN — Mat Jasieniecki readily admits that after he graduated from high school, he partied a bit too much, and after a while his grandparents told him to shape up. Jasieniecki, who was born in Poland and raised primarily by his grandparents in the south suburbs of Chicago, was always a curious student — interested in history, chemistry, economics, astronomy and more — but with little financial resources, he didn't consider college as an option. At least not right away. Instead he moved to Florida, and there his uncle, a Marine, presented him with several brochures for the various branches of the armed services. Jasieniecki chose the Army, and soon he was off to basic training. Nine years later, following tours in Iraq with the highly decorated 172nd Stryker Brigade and an academic career that included a fellowship in Prague, the 27-year-old graduated Sunday with a bachelor's degree from the University of Illinois. Jasieniecki is among a growing number of veterans enrolled on the Urbana-Champaign campus. There are 404 student veterans, most of them undergraduates, and about 75 percent served in either Iraq or Afghanistan, according to Nicholas Osborne, a veteran and assistant dean who advises the Illini Veterans student group. 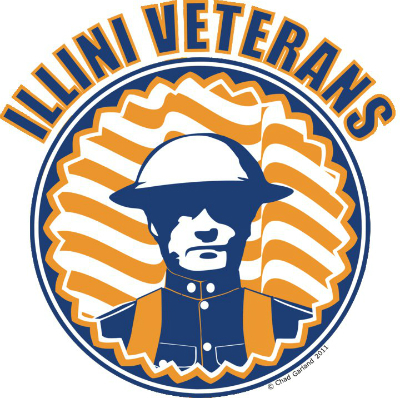 In the last 2 years, membership in the Illini Veterans has more than tripled. Jasieniecki, the outgoing president, has developed it into something much more than the social group it was originally established as. "I wanted to solidify the (registered student organization's) presence in the student community and the Champaign-Urbana community," he said. Over the winter, the group dedicated a veterans lounge in the basement of the Illini Union where veterans can take a break from studying and connect with other vets. They conducted a drive to collect furniture and household items for formerly homeless veterans who were moving into permanent housing. And earlier this spring, they organized the inaugural Illini Veterans Memorial 5K run/walk to raise money for the $12 million Center for Wounded Veterans in Higher Education. The building, under construction on Nevada Street in Urbana, will feature residential units for injured veterans who need personal assistance, a fitness center, lounge, tutorial and advising spaces, and more. It's being paid for with state and private money. "He has a strong commitment to our veterans. Mat's leadership was striking with this RSO (registered student organization) in that he really changed it from being a social club to a philanthropic one heavily based on service," Osborne said. Jasieniecki was born in a village northeast of Krakow called Proszowice. Three months before the fall of the Berlin Wall, he and his mom, a single mother, moved to Chicago where her parents were living. He grew up in Burbank and attended Reavis High School, graduating in 2004. In the Army, he trained as a wheeled-vehicle mechanic and qualified to work on Stryker vehicles. In high school, he had tooled around on his friends' cars, and his grandfather worked in heating and air-conditioning. Jasieniecki took to the mechanic's job and worked his way up to becoming a team leader for mechanics with a combat engineering unit. Because of the timing of his deployment and the stop-loss policy, by the time he returned to the U.S., he had missed any chance at applying to schools for the coming fall. He had to wait several months, living in the suburbs before eventually enrolling at the University of Illinois at Chicago. He leaned toward concentrating on pre-medicine and psychology, but continued studying Russian and Polish and maintaining his interest in political science and history. On a return visit to Poland, he was fascinated with what he saw — a former Communist country transitioning to capitalism. In his sophomore year, he transferred to the Urbana campus and started taking classes in Slavic languages. "It was weird," he said of the reaction of his classmates when they learned he was an undergraduate. "College seemed like an extension of high school," because so many students go directly to college after graduating high school, he said. Eventually he met a few fellow veterans and made his way to the Illini Veterans. "We spot each other out. A lot of times it's the haircut," he said, of veterans' preference for short hairstyles. Veterans usually can identify each other by their defined muscles, wearing of old combat boots, or T-shirts with a unit's insignia, he said. "I wish veterans would get more involved. Some don't want to be acknowledged," he said. Perhaps it's because, he believes, some students mistakenly think all veterans suffer from post-traumatic stress disorders or are prone to angry outbursts. Some fellow students are intimidated by them, he said. Others walk right up to them and thank them for their service. In his time as president of the Illini Veterans, Jasieniecki said he is most proud of how they pulled together the 5K, which ended up raising almost $10,000 for the Center for Wounded Veterans in Higher Education. "Creating an event like that will help make us seem like a vital part of the community," he said. No one in their group had ever managed a race before, let alone started a new one. But they were amazed by how people and businesses in the community donated money and time for their event, he said. Last week they presented a check to the College of Applied Health Sciences. The center will contain about 12 to 14 residential units for UI student veterans who have been severely wounded, according to Jean Driscoll, the assistant dean for advancement in the College of Applied Health Sciences who has been helping raise money for the building. A variety of services will be available there to all UI student veterans, including family counseling, health and life skills, therapy services, academic and career counseling, and more. "I was so impressed. They've been so respectful and excited about the opportunity to support the veterans' center," Driscoll said. "I'm looking forward to being in touch with them for many years to come." A groundbreaking ceremony has been scheduled for November, and construction may start in December. It's likely to be done by February 2015. As for Jasieniecki, next week he will pack up and head southwest to Dallas — "I love the desert" — where he will begin a new position as a financial adviser at Edward Jones. He hopes to continue to use his language skills to assist Polish and Russian clients. Recently, the European Union Center (EUC) had the honor of hosting Dr. Miriam Cooke, who gave an interesting lecture entitled “Mediterranean Networks: Connecting People, Ideas and Cultures Across Time”.1 Using several case studies of key historical events and figures from the Mediterranean area, Dr. Cooke sketched out some of the different networks, thus illustrating the diversity found in this area of the world. In her lecture, Dr. Cooke attributed this diversity to be at least partially a result of the movement of people, who collectively represent a wide variety of ethnicities, languages, histories, and religions. While these different streams and networks of people have yielded great cultural benefits, they also can be interpreted as a threat to the maintenance of internal security and stability. 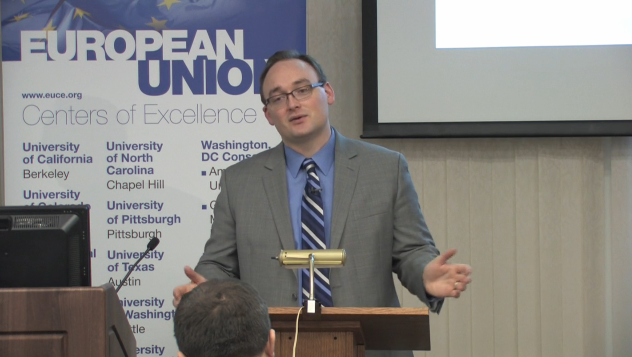 Although Dr. Cooke’s lecture did not specifically touch on the European Union (EU) (as a specific entity), it is clear that the “fluid” nature of this area continues to the present day and has often proven to be quite a challenge for EU policy-makers. For example, on March 7, 2013, Germany announced that it would not vote in favor of allowing Bulgaria and Romania to enter the Schengen Zone. One of the strengths of the EU is its diversity. The fusion and mixing of different cultures can lead to new discoveries and overall create a culturally rich environment. Yet, at the same time, it is challenging to find ways of balancing this with the desire of member states to have control over the integrity of their borders. However, ideally, the EU will continue to develop and experiment with different policies and programs aimed at valuing culture and respecting people. 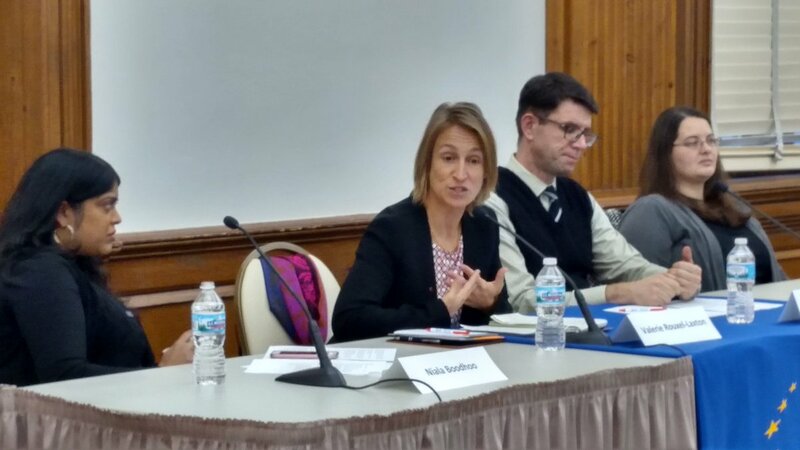 On April 18, the European Union Center participated in a videoconference panel discussion entitled "Sharing the Wealth: An EU-US Free Trade Agreement." Members of the panel included Ambassador (ret.) J.D. Bindenagel, Special Advisor to the President at DePaul University and UIUC alumnus; Martin Staniland, Professor in the Graduate School of Public and International Affairs, University of Pittsburgh; David Cleeton, Professor of Economics, Illinois State University and Illinois EU Center regional faculty affiliate. 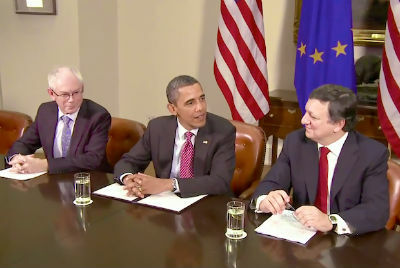 In February President Obama announced the beginning of negotiations designed to produce a US-EU Free Trade Agreement. Mutual tariffs are already low and trade high; business and labor constituents seem supportive, and officials are eager to conclude this agreement ''on one tank of gas,'' i.e., quickly. But significant issues will be in play, including: opening markets for agriculture products, trade in services, and access to public contracts. Regulation and non-tariff barriers—including, for example, ''cultural exceptions'' favored by some European countries and American restrictions on European airlines—may constitute substantial obstacles. More broadly, supporters of more global approaches to trade fear the impact of such an exclusive bilateral deal on the emerging and less developed markets. 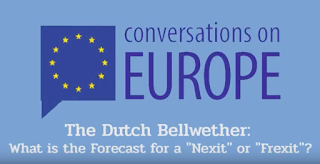 This videoconference is part of the "Conversations on Europe" series, which cover these and other related issues, with participants from several venues and input from university and community people. 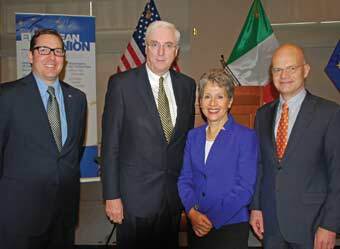 This event was held in collaboration with the American Council on Germany and the World Affairs Council of Pittsburgh. The videoconference may be viewed below or at University of Pittsburgh's University Center for International Studies' YouTube channel. In this short video about the Modern Greek Studies Program at Illinois, students speak to the ways in which the program has contributed their academic and career goals, including language fellowships, research funding, and involvement in the Greek community. The video includes Master of Arts in European Union Studies (MAEUS) student Michelle Asbill, who was recently awarded a FLAS fellowship to study Greek next year. The video may be viewed below or here. 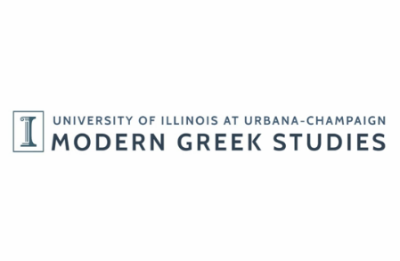 The EUC is a proud supporter of the Modern Greek Studies program! 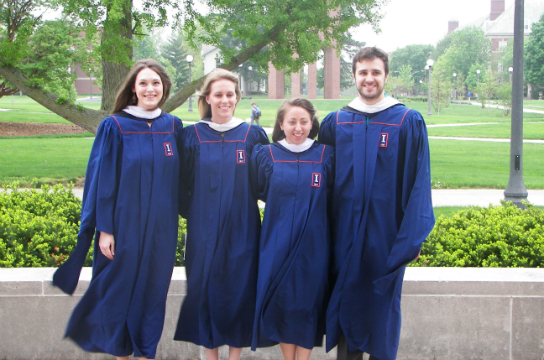 The European Union Center congratulates four graduates in the class of 2013 from its Master of Arts in EU Studies program. On May 11, EU studies students Natalie Cartwright, Allyce Husband, Whitney Taylor, and Jerry Vassalla participated in a University of Illinois at Urbana-Champaign commencement ceremony. Their degree prepares them for work in areas ranging from government to trade to think tanks. These students have made the most of their studies: they studied abroad at various European universities in countries like France, Germany, Italy, and Turkey; all of them received Foreign Language and Area Studies (FLAS) fellowships to support foreign language study; and they produced master's theses and substantial research projects delving deep into issues faced by the European Union. Such experience and knowledge will allow these graduates to pursue successful careers, with constant ongoing support from the European Union Center. In addition, the EUC congratulates Nellie Manis, who received her MA in Russian, East European, and Eurasian Studies with a graduate minor in EU studies. 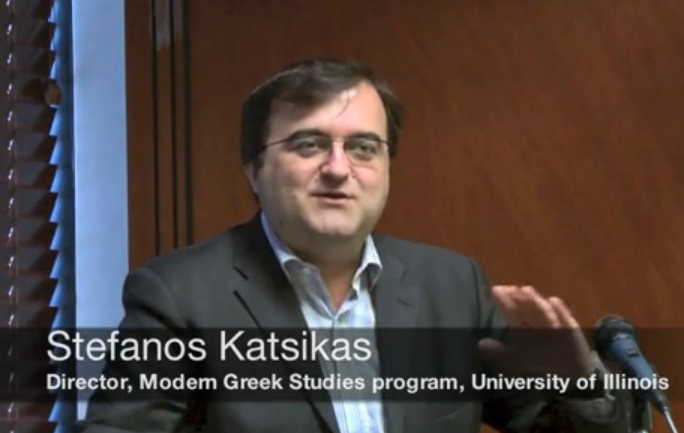 On April 15, 2013, EUC-affiliated faculty Stefanos Katsikas delivered a talk at Georgetown University's Center for Muslim-Christian Understanding (ACMCU). The talk was entitled "Muslim Political Involvement in Bulgarian Post-Communist Politics," and an abstract and complete video of the talk is available below. This originally appeared on ACMCU's video collection page. Islam is the largest religion in Bulgaria and Muslims constitute the largest religious minority of the country. According to the 2011 census, the total number of Muslims in the country stood at 577,139, corresponding to 7.8% of the population. For the most part of Bulgaria’s modern history its Muslims remained at the margins of the country’s political life and were often regarded as second-class citizens. With the collapse of communist totalitarianism in 1989 Muslims for the first time gained political representation in the Bulgarian parliament through the establishment of the Movement for Rights and Freedoms (MRF), a political party whose major electoral base has been Bulgarian Muslims. The MRF has been a stabilizing factor in the country’s post-communist life and has had a positive role in the country’s transition to political pluralism after 1989. It participated in many coalition governments and has pushed hard for improving Bulgaria’s records of human rights and people’s living standards as well as for securing Bulgaria’s pro-Western foreign policy orientation through accession to the European Union and NATO. This briefing aims to explain the reasons for this change – i.e. what were the reasons leading to the establishment of a “Muslim” political party – and discuss the extent to which this development has contributed to a real improvement of Muslims’ political, economic and social life in Bulgaria and had a positive effect on Muslim-Christian relations. "Muslim Political Involvement in Bulgarian Post-Communist Politics" with Stefanos Katsikas from ACMCU on Vimeo. In February, perhaps the world’s most famous virologist, Nathan Wolfe, visited Champaign-Urbana to share a small snippet of his knowledge on the subject of pandemics. Dr. Wolfe was featured in the 2011 class of Time 100, meaning that Time magazine considered him one of the 100 most influential people in the world. He stated that the 21st century is a new era in technology as well as global interaction and therefore there are threats of new viruses emerging. In order to understand what he means, you just need to look at the HIV virus. It materialized sometime before the Great Depression but wasn’t identified until about 60 years later. Dr. Wolfe declared that the world must take a pro-active approach in combatting such viruses before they become problems, rather than react to the spread of a pandemic. Is this a threat for the European Union? How has the European Union been preparing to deal with the possible emergence of such threats? First off, the European Union does face the threat of such pandemics even though their origin may be nestled in the jungles of a far off country. The map above shows just how easily a local pandemic can become a worldwide issue. 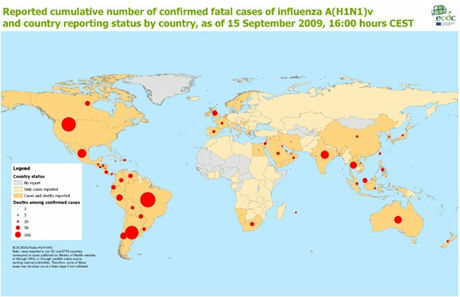 It shows the number of cases of H1N1 as of September 2009 worldwide. The next map (below) shows that, in less than a year, the number of cases of H1N1 in Europe increased relatively dramatically. If that wasn’t enough for the EU to be concerned, the emergence of such threats also poses food security issues in a global world. So, what is the European Union doing? The EU has dedicated substantial amounts of money to funding research on avian and pandemic influenza, even before the outbreak mentioned above. The EU spent 6 million Euros in the late 90’s/early 2000’s and more than tripled the amount in 2006 to 20 million Euros. Good for the EU, but if you think about it, 20 million Euros is a paltry sum for the EU. The EU’s budget in 2006 was over 106 billion Euros which makes the contribution less than .1% of the budget. Not only that, but member states such as France, Germany and the United Kingdom are among the world’s most advanced countries. If the support from these technologically and economically wealthy states is missing, then there is much less hope for the rest of the world. That being said, the European Union does have certain policies to combat major health threats. 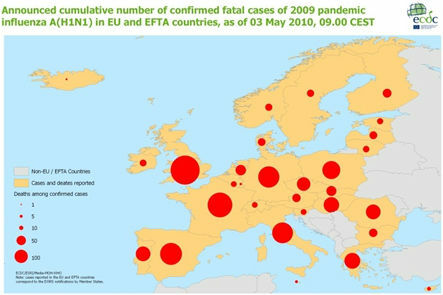 You can see the EU’s attempt to inform and lessen the fears of its citizens in the case of influenza pandemic in this 2006 flyer: http://ec.europa.eu/health/archive/ph_threats/com/preparedness/docs/flu_fact_en.pdf. The “European Centre for Disease Prevention and Control” is charged with addressing international health issues, specifically pandemics. 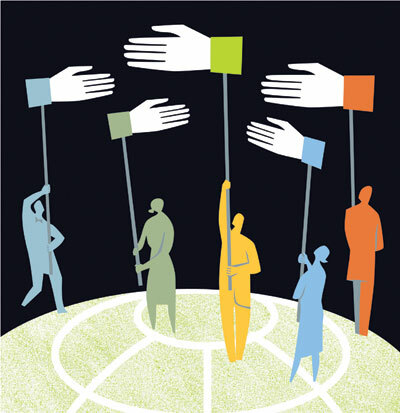 In addition, according to an article in the Functioning of the European Union, each country has been required to design their own plan to manage and respond to pandemic health issues. 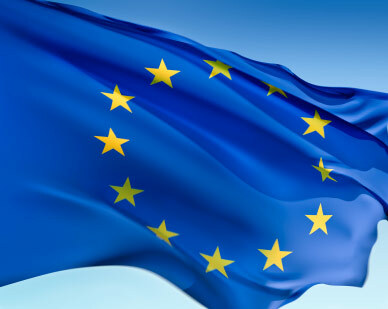 The EU is also cooperating with the Global Health Security Initiative, a group of countries that communicate and cooperate on issues of international health affecting security. It would seem that the European Union’s member states are prepared in the case of a dangerous outbreak. They have plans and procedures in place to help stop the spread of an outbreak. In contrast, as a global leader in politics and prosperity, the EU can do more to promote scholarly research on the topic. The EU did just that earlier in 2013 with the announcement of an initiative to fund rare disease research. Jerry Vassalla is a second year MAEUS student. He majored in Spanish and International Studies as an undergraduate at the University of Illinois at Urbana-Champaign. Jerry spent time during the fall of 2010 volunteering at an Urbana based refugee center. During summer 2011, he studied Turkish in Antalya, Turkey on a Foreign Language and Area Studies (FLAS) fellowship. Jerry spent the 2011-2012 academic year in Germany on a Fulbright Grant as an English Teaching Assistant. His research interests include EU accession, the factors influencing the identities of minority groups within the EU (especially language), immigration rights in Germany and Turkish foreign policy. As non-academic hobbies, he commishes and plays fantasy football. He enjoys cooking and considers himself something of a BBQ Sauce connoisseur. 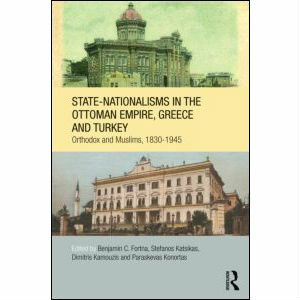 On May 21, a book launch will mark the publication of State-Nationalisms in the Ottoman Empire, Greece and Turkey: Orthodox and Muslims, 1830-1945 (Routledge, 2012). The book is co-edited by EUC affiliated faculty member and Director of Modern Greek Studies at Illinois, Stefanos Katsikas, as well as Benjamin C. Fortna, Dimitris Kamouzis, and Paraskevas Konortas. The book launch will take place at SOAS, University of London. Professor Richard Clogg will say a few words and the editor/authors will be present to discuss their contributions. Complete information for this event is available on the SOAS website. What Should Macedonia be Called? On March 8, professor Theodora Dragostinova came to campus to give a lecture titled, “Between Home and Homeland: Migration and National Dilemmas across the Bulgarian-Greek Border in the Early Twentieth Century.” Her lecture covered many historical border disputes between Bulgaria and Greece during the late Ottoman Empire. The disputes have largely been based on feelings of identity. This issue continues to manifest itself today in the naming dispute regarding Macedonia. As of 2005, Macedonia has officially been an EU applicant country, but the naming dispute has caused Greece to block Macedonia’s application to move any further in the accession process. In fact, on the EU’s website, Macedonia is always referred to as “FYROM.” The United Nations uses the same language. Disagreements over a name may seem trivial, but Dragostinova’s lecture helped show the historical background on this topic and consequently why it is such a heated debate today. High-level politicians have spoken out about this issue, including former U.S. Secretary of State, Hillary Clinton. In an interview, Clinton said, “The government in Skopje needs to know that it will not be able to move forward on its European integration until it does resolve this.” Several observers understood this comment as a demand that Macedonia must take the lead in solving this issue, and thus presumably should probably just accept the name “FYROM.” Ultimately, either Macedonia or Greece will have to submit to the other’s wish. Macedonia isn’t the only country to have had a name dispute. It is odd that North Korea’s official name is “the Democratic People’s Republic of Korea” when a dictator rules the country. Even grammatical problems arise, such as if the “United States” is singular or plural. And the name “the United States of Europe” has been thrown around before. The difference in the Macedonia dispute, of course, is that there are strong historical tensions and different parties that disagree, as well as the importance the naming dispute has on EU membership for Macedonia. I hope that this issue can be resolved soon. Even though there is a historical justification of this issue, it would be a pity if it was the only issue blocking EU membership from Macedonia. I predict that the solution to the problem will be an administration of one of the two countries that realizes EU membership is more important than an official name. What are the political implications of people’s memories about history? Although Theodore Gerber’s talk on February 21, 2013, “New Directions in Russia, Eastern Europe, and Eurasia—Divided Historical Memory among Youth in Estonia: Sources of Ideational Cleavage,” didn’t focus on this question, the lecture did make me wonder how people’s perceptions of the past influence their political attitudes in the present. For instance, people who associate negative memories to past historical events such as wars (e.g. World War II or, more recently, the Vietnam War) are probably less likely to support new wars than are people who remember past wars in a positive light. There seems to be something missing, however. Gerber was quick to note that his study—and, likely, all studies about historical memories—does not tell a causal story. It is very likely that some underlying factor causes, or at least predisposes, people to positively remember past wars and to support future wars (or the opposite). Related to this point, I wonder if it is possible for historical memories to change over time, both within an individual and across society. It certainly must be possible for change over time—otherwise, historical revisionists would be out of a job and we would be unable to integrate new information about the past into our overall understanding of that past. But how do these memories change? It would seem that media frames, elite discourse, new textbooks—i.e. a cultural shift of sorts—would be necessary for historical memories at a societal level to change. At the individual level, I imagine that some people are more stubbornly attached to what they think they know than others, thus making their “memories” resistant to change. In both cases, it appears that the ability of an historical memory to evolve is dependent on conditions that make it impossible to delineate the political implications of these memories. If we wish to observe memory’s implications in a casual manner, we would need to observe how changes in memory affect changes in political attitudes. Yet, because changes in historical memory are brought about as a result of a cultural shift or due to individual predispositions to update their beliefs, the task is impossible. It is unlikely that historical memory has any effect on politics. In fact, changes in political attitudes are probably a precondition for the cultural shifts that one might otherwise assume brings about a change in historical memory and people’s preconditions to change their beliefs may be correlated to their political leanings as well. This is not to say that historical memories are not politically relevant. Perhaps, though, these memories should be conceptualized as expressions of political attitudes and beliefs. It is then up to researchers of historical memory to explicate precisely what these expressions can teach us about individuals’ political behavior. Matthew Spears is a 5th-year graduate student in political science at the University of Illinois at Urbana-Champaign. His research examines how people’s perceptions of others influence their support for economic redistribution. His research has been funded, in part, through EU Center travel grants, and he is currently studying Turkish as an EUC FLAS fellow. On April 5th the European Union Center held its Seventh Annual Turkish Studies Symposium entitled Ethnographies of Istanbul. The first panel of the day was “The Allure of the Cross-Roads City: Cosmopolitan culture, immigration flows into/out of Istanbul, and the growth of international tourism.” The panel included Dr. Derya Özkan from Ludwig Maximilian University of Munich, Dr. Amy Mills from the University of South Gerogia, and Dr. Mahir Şaul from the University of Illinois. One theme that this first panel brought up was the idea that Istanbul either has lost, or is rapidly losing, its old cosmopolitan nature. The argument basically goes that once upon a time in old Istanbul, Turks and Greeks and Armenians and Jews all lived together in peace and harmony, and now that that’s not the case anymore Istanbul has lost its diverse, cosmopolitan culture. I’ve heard this line of argument before in other contexts, and I remain just as unconvinced after this conference as I was before. I suspect that if asked the panelists would all deny that they hold this view and have lots of good things to say about Istanbul’s current diversity. But this theme, this idea that present-day Istanbul is somehow less than the Istanbul of the past, or that the Istanbul of the future will be less than present-day Istanbul was woven throughout this whole symposium, so I’d like to take a few minutes to present my argument against this idea. Let me begin with a story about another city. I spent two months last summer interning in Brussels, and I loved the city. Brussels is full of winding streets and pretty houses. It combines 1000 years of history with a central place in current political events. It is diverse and multi-lingual. It has a top-notch public transit system. And the entire time I was there I found myself defending the city against its detractors. I don’t think I’ve ever lived anywhere else where the people were so negative about the city they lived in (and I’ve lived in a few different places). One of the disparagements I heard most frequently was that over the last century the government has torn down old historic buildings all around the city and built modern monstrosities where these beautiful buildings once stood. Personally, I like the heterogeneity that this type of development creates. You can find 200-year-old homes across the street from a modern apartment complex, and the old city center is a short walk away from a mall and several high-rise office buildings. Sure it’s not “authentic,” but it’s alive. And here’s the kicker: the historic 200-year-old buildings that the city tore down to make way for modern development were themselves built over the remains of 400-year-old buildings that were torn down in the name of progress 200 years ago. My point is that cities change. People get nostalgic and talk about how nice things used to be, but doing so is dishonest in two ways. First, this type of argument fails to acknowledge that the old buildings or old peoples or old ways that have been replaced were themselves replacements of earlier buildings and peoples and customs. Second, focusing on the vanished past undervalues the present. Dr. Şaul told the story of a few groups of African migrants to Istanbul, and how their movements to different neighborhoods were the result of pressures from Roma and Eastern Turk populations. So yes, Istanbul’s diversity is different today than it was 100 years ago. But I have yet to hear anyone argue convincingly that this new diversity is somehow less diverse than the city’s old diversity. Levi Armlovich is a first year MAEUS student. He received his Bachelor’s degree in 2008 from St. John’s College in Santa Fe, NM, worked odd jobs for a couple of years, then decided he missed being a student. He is currently pursuing a dual degree in Law and European Union Studies and is interested in international business and trade law. He is also a project manager for Illinois Business Consulting, a student-run consulting organization on campus. He interned at the Illinois International Trade Office for Western Europe in Brussels over the summer and received a Foreign Language and Area Studies fellowship to study Turkish this academic year. In his spare time he brews his own beer, travels as much as he can, and enjoys reading and hiking. 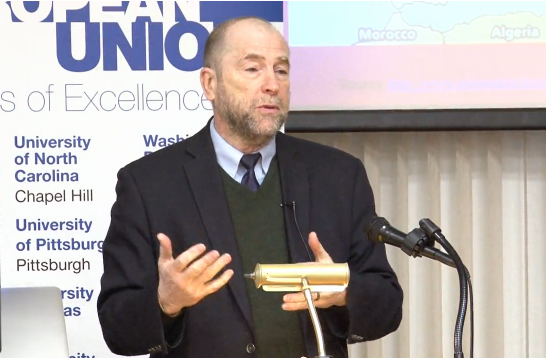 On April 19, Ronald Linden, Director of the EU Center of Excellence and European Studies Center and Professor of Political Science at the University of Pittsburgh, delivered a lecture entitled "Turkey and Its Black Sea Neighbors: Foreign Relations in an Area of Transition." His talk is part of the EUCE Center of Excellence Director Lecture Series. A complete video of Professor Linden's lecture is available below. Often, a distinction has been levied between “hard” and “soft” sciences as well as “hard” and “soft” diplomacy. Yet, what if we decided to merge and reformulate these distinctions? What type of political and social environment would emerge? Furthermore, which problems could we solve across countries if we shifted our perspective to incorporate a blending of disciplines and ideas on how to combat modern security and ecological issues? I would suggest that if we begin to think outside of the box and work in areas outside of our purview, great things can happen. These are some of the thoughts that Dr. Charles Ferguson, President of the Federation of American Scientists (FAS), brought to the University of Illinois campus on Thursday, March 7th. A diverse audience convened at the Spurlock Museum for an intimate evening that joined together scholars from sciences and humanities to discuss how we may best leverage science and diplomacy together to address security risks existing today. The University of Illinois is not new to using its wealth of knowledge to bolster social welfare; with student-lead programs such as Alternative Spring Break to Engineers Without Borders, our campus is engaged and actively looking to employ its resources to help local and international communities. However helpful these programs and activities can be, they are better suited to create a lasting impression when supplemented by activities that address tangential problems in a holistic manner. In his discussion on the linkages that tie science and security, Dr. Ferguson outlined what the FAS hopes to be their pilot “International Scientific Partnership” program; an endeavor that would bring together a variety of specialists across industries and academia to work in Yemen with their local counterparts. Ideally, the program would foster a dialogue towards developing solutions to ecological issues and the FAS hopes that such a dialogue will spur a forging of working relationships between scientists here and abroad. With the ultimate goal of exchanging and utilizing best practices in their fields and with development projects, the FAS hopes its program will be able to adequately address ecological issues that have a material impact on generating greater security in regions of concern. However in order for the FAS to be successful in its efforts, Dr. Ferguson highlighted the need for an interdisciplinary approach. Science need not be thought of as merely a stopgap measure, but instead a proactive segue toward initiating long lasting solutions that fit communities suffering from security instability. Projects must take into consideration local culture and types of community partnerships that will be ideal in addressing broader conditions impacting an ecological issue and its proposed remedy. These are puzzle pieces that should be evaluated and can affect whether or not an International Scientific Partnership project can yield deliverable and sustainable results. Whether or not this will happen has yet to be seen since the project is still being developed, however the will to use science as a positive, diplomatic tool exists. If we continue to engage in critical conversations that address the complexity of security and ecological issues today, we will move a step closer towards outlining a working model for a program that has the potential to be a constructive tool to develop diplomatic partnerships between US and foreign companies and professionals all linked by common goals. For more on science diplomacy, the U.S. Department of State blog posted an informative piece on their efforts to promote diplomacy through science. 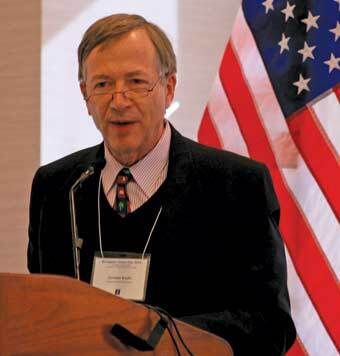 “Promoting Science and Technology as Tools of Diplomacy” by Larry Gumbiner, July 29, 2010. Call us by our Name: "Sámi"
“My home is in my heart, it migrates with me” is a quote that resonates with the Sámi people whose homeland has been under pressure creating a need for further migration north. The Sámi are an indigenous people who have inhabited the Sápmi area consisting of northern territories in what is present day Norway, Finland, Sweden and Russia for the past 5,000 years. The Sámi have been struggling for the rights to what is and always has been their land, causing disagreement in national dialogue. 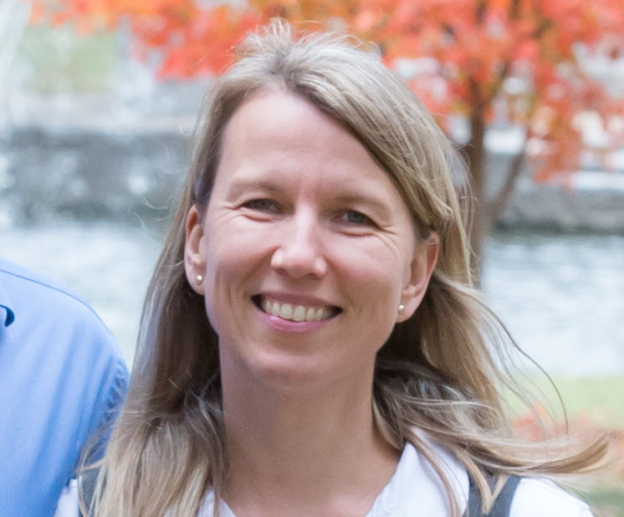 In recent years the Sámi have been faced with extreme racism through judgmental stereotypes like, “those people who reindeer herd”, and “weak, unintelligent and oppressed…of primitive stock,” but throughout the years they have proven their cultural resilience, even when faced with the challenge of being referred to as something pejorative. Troy Storfjell, a professor from Pacific Lutheran University, who himself identifies as Sámi, spoke about his people and their necessary resilience in the emergence of cultural attacks, ranging from hate speech and harassment on the streets to bullying in schools and even death threats. While the human race should not reduce itself to racial discrimination, the questions of identity, territory and belonging seem to add fuel to the fire of negatively stereotyping others who do not fit the type caster’s ideology. Discrimination raises more questions to the continuous debates of what is Europe and who is European and when discussing either of those hot topics, questions regarding migration and migrant groups are bound to arise. While the Sámi are not a community of migrants, they receive the second hand treatment that many migrant communities suffer from on a daily basis. While the national authorities of Finland, Norway, and Sweden are now aiding in the promotion of Sami culture and language, whether it is enough effort is questionable. There still lacks one area where significant reform needs to occur. 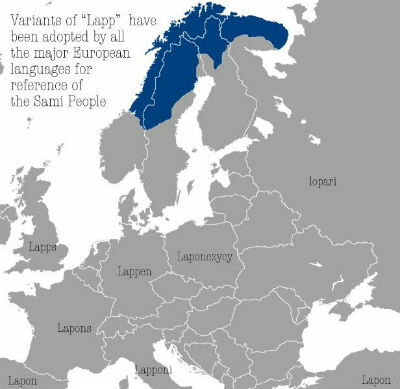 While Sámi people always reference themselves by the endonym of “Sámi” they are more frequently referenced in other languages by the exonyms of “Lapp” and “Laplanders”. Outsiders’ depreciatory name-calling is viewed as a judgmental sneer in the eyes of Sámi. It is intriguing as to why and how so many major European languages came to refer to the Sámi in demeaning terms, and maybe cultural insensitivity or ignorance is the only answer, neither of which are acceptable (see map). By accepting an ethnic group’s preferred name, a feeling of appreciation instead of insult is felt and a common ground of values based on respect transpires. Europe and the European Union (the largest peace project in the world) are about the uniting of nations by common values. However, by treating certain minority groups as second-class citizens, this is a sorely neglected objective. While changes to a language are difficult, time consuming and not ideal, it is a step in the right direction that needs to be taken and would reflect positively on European nations. The EU and its nations tend to exude attitudes of inclusion, but in regards to the poor treatment of their own, the Sámi, tones of exclusion are more prevalent. While others may not understand who the Sámi are, the Sámi themselves have stayed true to their identity and culture throughout the hardships they faced in the past 5,000 years and that alone is something to honor. Maybe it is because their “home is in their hearts, it migrates with them,” an enduring outlook that has gotten them through many of their hardships. Natalie Cartwright is a second-year MA student in European Union Studies. She received her Bachelor's degree in Political Science and International Studies at the University of Illinois at Urbana-Champaign in May 2011. Her interests include migration flows, environmental sustainability, Italian and Turkish. Natalie has spent the summer studying Turkish language at Ankara University TÖMER and will spend the fall 2012 semester studying at Bogazici University in Istanbul, in both cases with support from EU Center Foreign Language and Area Studies (FLAS) Fellowships. The Illinois International Review covered the 12th annual European Union Day in their Spring/Summer 2013 issue. This article originally appeared on the Illinois International Review website. 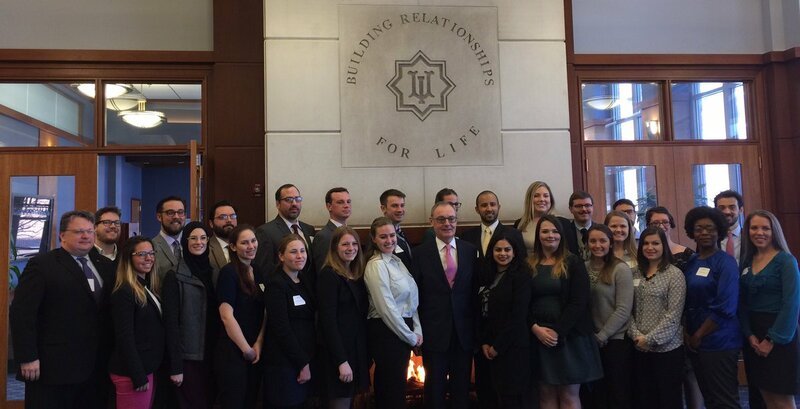 Diplomats from countries with distinct perspectives on the challenges facing Europe were on hand February 15 for the 12th Annual European Union Day on the Illinois campus. 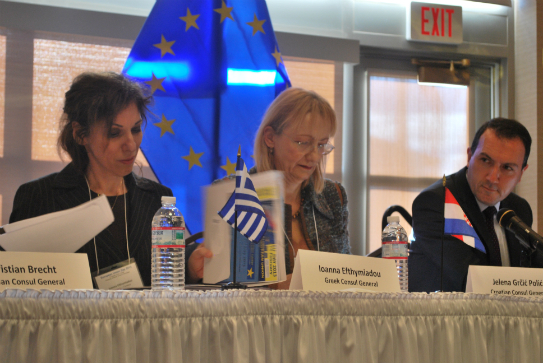 Consuls General from Greece, Croatia, and Turkey during EU Day. Participating in the afternoon panel discussion, “Visions for a Future Europe,” were Consuls General from Germany, Greece, Croatia, and Turkey. Each offered their point-of-view on the tasks at hand and on what lies ahead for the continent and European Union in light of challenging economic times not only globally but especially in the eurozone. German Consul General Christian Brecht offers his thoughts on the future of Europe. Brecht also spoke of how interconnected the world has become, noting that most of the issues EU nations have experienced were felt by countries around the globe, adding that “crisis on Wall Street means crisis in world markets.” He concluded that the world will always be full of new risks and unexpected threats, but that the United States will find its strongest ally in Europe. The Honorable Ioanna Efthymiadou, Consul General of Greece, spoke for the southern European nation which has faced some severe economic challenges since 2009. She called the crises facing Greece an opportunity to “revisit things taken for granted,” but agreed that in the global marketplace the EU must stick together to form a strong union capable of addressing the challenges that lay ahead. Efthymiadou added that there have been positive signs of economic progress, including a recently announced primary budget surplus. “We must keep the faith,” she said. The Honorable Jelena Grčić Polić, Consul General of Croatia, and the Honorable Fatih Yildiz, Consul General of Turkey, represented two countries at different points on the path toward accession to the EU. Croatia is set to become the 28th member of the EU on July 1, 2013, while Turkey, which has been an associate member of the EU and its preceding organizations since 1963, has yet to be accepted for full membership, but is an acknowledged candidate. Yildiz believes the EU would only grow stronger if Turkey became a member state, while acknowledging that the EU must determine what its role is Europe. EUC Director Bryan Endres, Irish Ambassador Michael Collins, Vice Chancellor for Student Affairs Renee Romano, and Associate Provost for International Affairs Wolfgang Schlör at EU Day 2013. “Is the EU primarily a civilian power, an economic power, or military/political power?” Yildiz asked. Since Croatia has not yet acceded to the EU, Polić kept her remarks short, saying that “peace is above all the most important value to pass on to our children.” She also aired a brief promotional video highlighting Croatia’s sense of optimism as it joins the EU, and encouraging members of the audience to visit her home country. Earlier in the day, His Excellency Michael Collins, Ambassador of Ireland to the United States, delivered the “State of the EU Address.” Ireland currently holds the rotating presidency of the EU. Among the topics he addressed was the possibility of Great Britain leaving the EU and the continued economic recoveries in Greece, Spain, and around the continent. EU Day events are funded in part by U.S. Department of Education Title VI grant and the EU Center of Excellence grant.